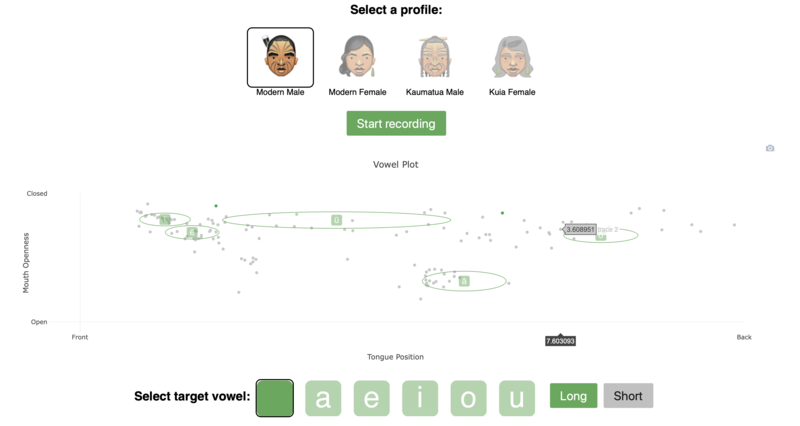 MPAi is a phonetic feedback tool packaged as a web-accessible computer application. The application is in current development at the University of Auckland in Aotearoa, New Zealand, under the guidance of Assoc. Prof. Catherine Watson and Dr. Peter Keegan. This work was made possible by drawing on a large body of research from the MAONZE project. There have been a number of different versions of the application to date, each that build on the knowledge and expertise of a number of software engineers amd researchers. The versions have been code-named Orange, Green, Red and adding to the stable is the newly developed online version (MPAi Online). These versions form part of the user testing phase which is being amalgamated into a single stand alone computer application which is currently under development. As of late last year (2018) the team are updating the app to a client server model and additionally updating the speech to text recognition engine to utilize Kaldi. The formant feedback module is being updated to run in real-time on a cloud based system. The formant feedback app has been updated by a team here at the University of Auckland (see app for details) and this is now web accessible (here). (This is offline as of Jan 2019 due to hosting updates but is being moved to a new home). 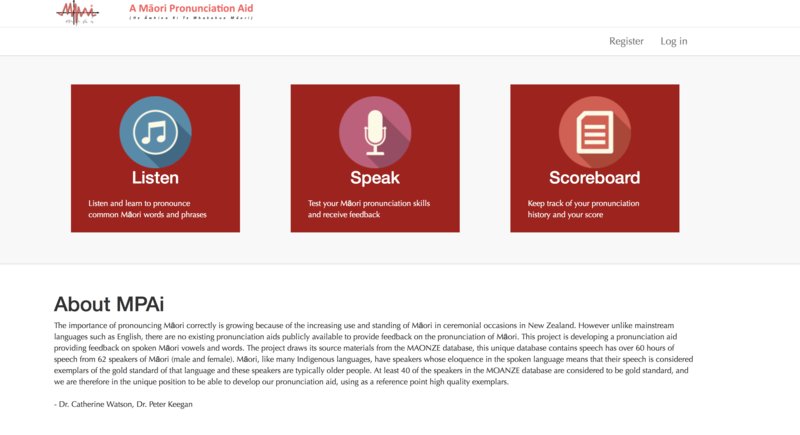 This application will be part of a suite of apps that speakers can use to aid their pronunciation of Te Reo Māori.